At iD Tech, you could say we’re a little bit crazy about going green. Thousands of students go (iD) green each summer when they attend our top-rated summer programs. In turn, we plant thousands of trees—one for every camper who attends—each year to make the world a greener place. As part of our partnership with the Arbor Day Foundation, we’ve already planted more than 155,000 trees in places like Stanislaus National Forest and Modoc National Forest. Our end goal? To plant more than a million trees with the hopes of creating an even better world for the next generation. Planting trees isn’t the only way iD Tech works toward a greener future. 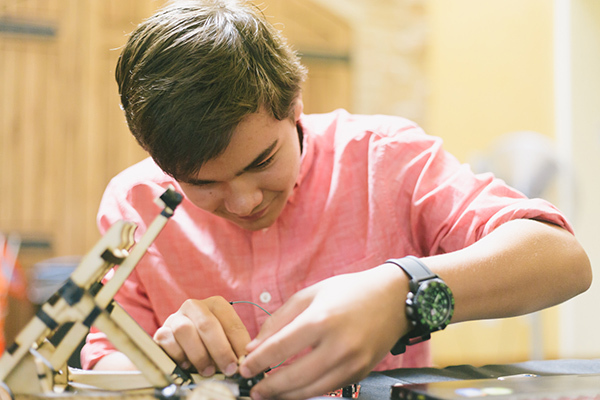 With our lineup of more than 60 technology courses for kids and teens, we’re also preparing students for bright futures in many careers, including green technology jobs. Does your child have a green thumb or a passion for making a difference by innovating new ways to reduce our carbon footprint, better utilize water sources, or harness solar power? Then a career in green technology might be for her. Keep reading—in honor of Earth Day 2016, we’re breaking down five awesome green technology fields (and the types of projects your child might end up working on)! Does your child love trains, planes, and automobiles? Does he want to make them more eco-friendly without sacrificing safety or aesthetics? Then a green technology job in the transportation field might be a good fit. Companies like Tesla are coming up with eco-friendly transportation solutions—in this case high-end electric cars—that are better for the environment than gas-guzzling vehicles. Tesla hires a variety of tech-related roles, including software engineers, mechanical design engineers, computer vision scientists, electrical engineers, prototype fabricators, and much more. Programmers could work with everything from maps and navigation to diagnostics and big data. Solar power could be the energy of the future; it’s already been proven to be a viable energy source for many buildings, homes, and devices. But today’s solar power technology has its limits. For instance, solar panels can only be of use in places that receive a lot of sunlight. Thankfully software engineers, electrical engineers, mechanical engineers, and other engineering professionals can improve on the current technology. For instance, last year, three Stanford engineers developed technology that would improve solar panel performance by shunting heat from solar cells and cooling it to convert more photons into electricity. Better solar technology means fewer fossil fuels and therefore worse pollution. Talk about making an impact! Believe it or not, twenty-first century farming is an extremely technology-intensive job. And the most successful farmers are looking for ways to best utilize land, water, and other resources. Of course, the desire to optimize the use of said resources provides a consistent need for green technology that both benefits the land and the farmer. Solum, a soil analysis technology, helps farmers plant more strategically, by allowing farmers to use less fertilizer. While tools like these help farmers save money, they also reduce the surprisingly large carbon footprint of more traditional agricultural processes. Consider the fossil fuels used to produce chemical fertilizers, or the chemicals released into the air (and into our food) when said fertilizers are mixed with pesticides and other aids. Green technology and new innovations are creating new, eco-friendly processes that benefit our world, farmers, and consumers. In addition to innovating and engineering new green tech hardware, your child could end up creating software like Farm Logs, which monitors a number of factors (such as rainfall, nitrogen levels, and crop health) and helps farmers plant in a way that eliminates waste and therefore makes our world a greener place. Green technology is seeping into many traditional industries, yet it’s also creating demand within new and emerging technologies. We know that 3D printing has the potential to change our world, especially in the fields of manufacturing. Using 3D printers, manufacturers can afford to make smaller batches, reduce raw material requirements, and therefore cut carbon emissions in many processes. To take advantage of the new possibilities 3D printers provide, you child could pursue 3D modeling, engineering, or programming. The possibilities are endless. Three engineering physics students recently developed a plastic recycler that turned plastic waste into new material that could be used by their 3D printer to create something entirely new. Talk about using green technology to recycle, reduce, reuse! People love gizmos and gadgets. So it’s no surprise that designing, programming, and engineering awesome eco-friendly products for consumers is a big market. Factor in the growing Internet of Things (IoT) trend and the prevalence of smartphones and apps, and you’ve got the perfect market for using green technology to make an impact on people’s lives. Consider Nest, a revolutionary technology that allows families to monitor and make changes to the temperature of their home simply by using an app—from anywhere in the country. Forgot to turn off the air conditioning? Not a problem. Nest allows everyday people to reduce energy waste and shrink their carbon footprint with simple hardware devices and a single smartphone app. Nest is just the start—green tech professionals are coming up with incredible new innovations that make tech greener, and your child could become a part of this growing trend. App developers are creating mobile apps that incentivize green living. Plus many STEM workers are looking for ways to make beloved products using greener methodologies, and creating new technology is often the driving force behind those changes. Whether your child wants to program apps that read the chemical composition of soil or engineer a energy-saving battery that powers the coolest Tesla model of our future, there are many bright possibilities in the world of green technology. And these jobs keep growing as people become more conscious about making the world a greener place. 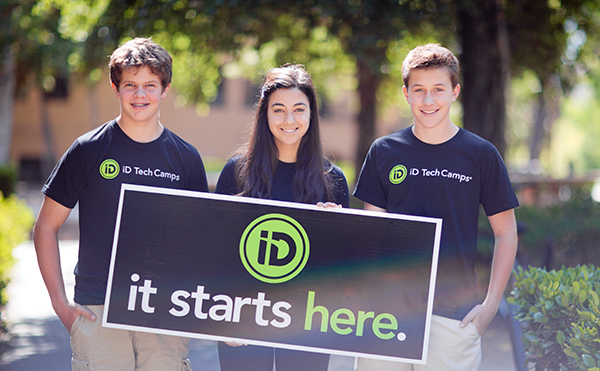 Help your child prepare for a future in one of these fields with a week at an iD Tech summer camp. Sure, we teach app development, electrical engineering, programming, game design, 3D printing, and other established and emerging technologies. But we’re also known for inspiring kids and teens to dream big—to show them that technology can be incorporated into any of their passions, and turn into a fun and rewarding career.